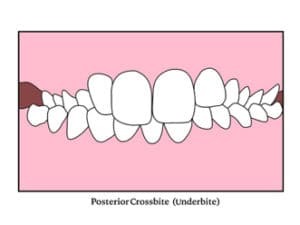 What is orthodontic crowding, spacing, overbite, overjet, crossbite, etc? 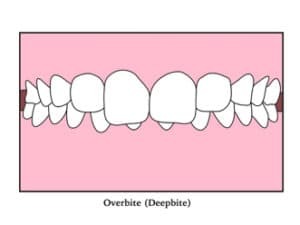 What is crowding, spacing, overbite, overjet, crossbite, open bite, and abnormal eruption? We all know that mouth conditions, such as crowding, spacing, overbite, overjet, crossbite, open bite, and abnormal eruption, could cause a negative self-perception, lower self-esteem in social situations, and health challenges. Does this sound familiar? Have you often wondered just how long you can bear your or your child’s mouth appearance condition before talking to an orthodontist about treatment options? If so, you are not alone. Our team at Ivanov Orthodontic Experts in the North Miami, FL, area can help with the treatment of those conditions, so that you or your child can get a more confident and healthier smile. 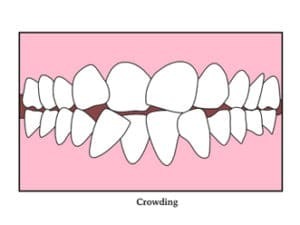 Crowding is when there is not enough space in the jaws to support all the teeth, and the teeth can appear crooked and you can see two rows of teeth or teeth that are pushed aside. Crowded teeth are harder to brush, floss, and keep clean, which could lead to cavities and gum disease. 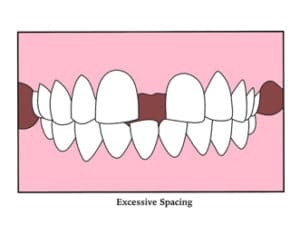 While mild and moderate spacing in the baby (primary) dentition is considered normal and good, severe spacing/gaping could have underlying problems associated with it, such as a misplaced, impacted, missing, or extra tooth/teeth. Overbite is a deep bite. In severe cases of overbite, the bottom teeth are so far up that they could traumatize the roof of the mouth, injuring the gums and the surrounding structures. 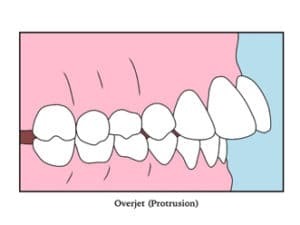 Overjet is when the front teeth are too far ahead. Severe overjet decreases the protective role of the upper lip. Since the upper lip cannot cover the front teeth, they are at higher risk of injury during sports, normal play, or falling accidents. 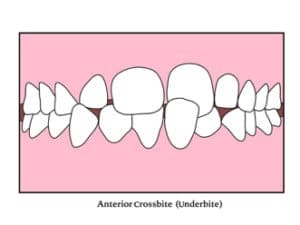 Most commonly, a crossbite is recognized when bottom front teeth (anterior crossbite) are closer to the lip than the upper teeth or when the bottom back teeth (posterior crossbite) are closer to the cheeks than the upper teeth. If left untreated at a young age, this condition can cause serious problems and, in the most extreme cases, call for surgery. 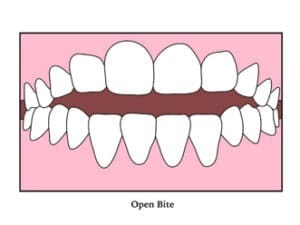 Open bite is when one or more teeth do not meet from top and bottom jaws. Your mouth is the first step of digestion, and having an open bite and improper occlusion (bite) could lead to digestive problems. 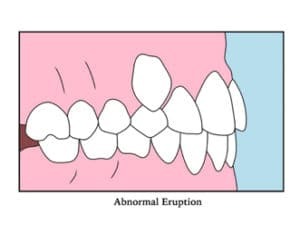 Abnormal eruption is when a tooth comes into the mouth in a place that is not normal, and this could cause damage to surrounding teeth and gums. The next step will be to schedule a complementary (100% no obligation and no cost) Ivanov Orthodontic Experts Consultation ($249.00 value) to see if you or your child needs braces or orthodontic treatment. At the day of your appointment, when you walk into the practice, you will be greeted by the receptionist and offered refreshments from the refreshment bar. Then, while enjoying the refreshments, you will be introduced to your treatment coordinator, who will take care of you from now on and review your personal information, health history, and the main concerns for your child’s smile and teeth or your smile and teeth. You could use this time with your treatment coordinator to ask questions that you may have or ask questions that you do not feel comfortable asking the doctor directly. During this time, you or your child will have digital panoramic and cephalometric x-rays taken. Those x-rays are crucial to help the doctor form the proper diagnosis. When the doctor comes into the room, he will greet you and will try to find out what he can do for you or your child and handle any concerns that you might have about your teeth or smile. If orthodontic treatment makes sense to you, your treatment coordinator will guide you to the next step. Perhaps, you or your child may not need any orthodontic treatment or braces.